Now revised and expanded, this is the leading resource for psychotherapists working with adults who have autism spectrum disorder (ASD) without significant cognitive and language impairments (also known as Asperger syndrome). Valerie L. Gaus shows how to adapt the proven techniques of cognitive-behavioral therapy (CBT) to build clients' social and coping skills, facilitate self-acceptance, and treat comorbid anxiety and depression. Illustrated with detailed case examples, the book is grounded in cutting-edge knowledge about information-processing differences in ASD. It gives clinicians critical guidance for conceptualizing these clients' presenting problems and optimizing the effectiveness of interventions. Reproducible worksheets can be downloaded and printed in a convenient 8½" x 11" size. First edition title: Cognitive-Behavioral Therapy for Adult Asperger Syndrome. Explains the significant terminology changes in DSM-5 and their impact. Chapter on mindfulness-based strategies for emotion regulation problems. Additional strategies and resources for teaching social and coping skills. Describes new and updated assessment instruments. 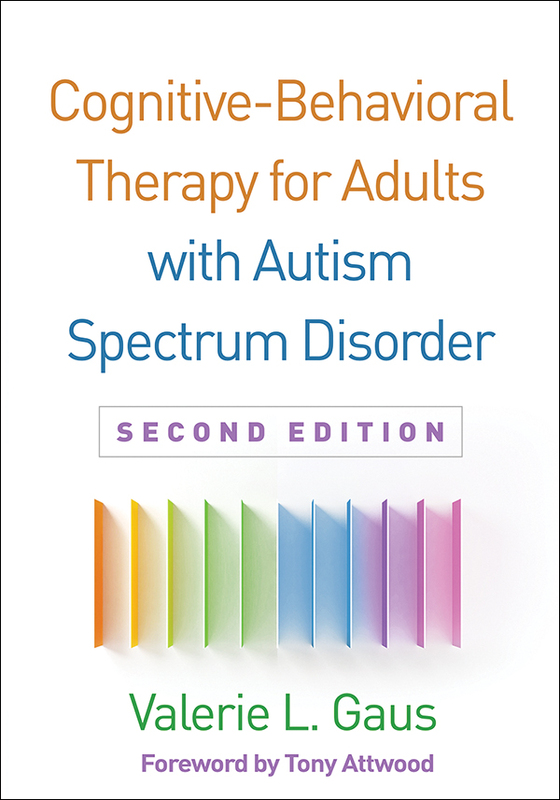 Incorporates cutting-edge research on CBT and on clinical problems associated with ASD. 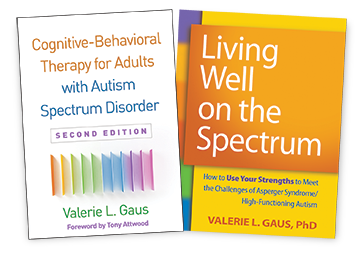 See also the author's related self-help resource, Living Well on the Spectrum, an ideal client recommendation.